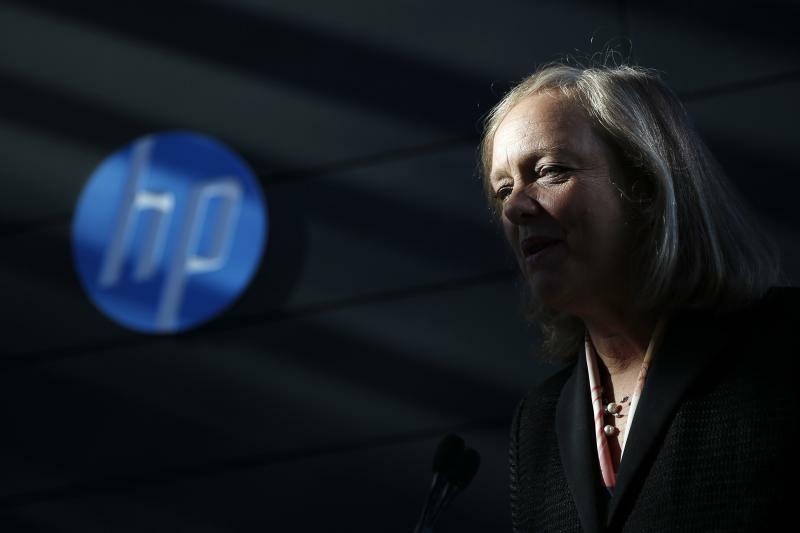 Hewlett-Packard (HPQ) CEO Meg Whitman has dazzled investors with her cost cutting and right sizing efforts, but this week she offered something even more tantalizing: a potentially game-changing new technology. HP unveiled an entirely reimagined computer architecture, which it calls “the Machine,” designed to help big customers like corporations and universities better handle the massive data sets now becoming commonplace. The device uses a completely new memory technology dubbed “memristors” and faster internal communications pathways using beams of light. But the machine, cool as it sounds, is still just a research product, with HP admitting it will deliver all of the various components as products on a timeline that stretches out until 2020. The Machine may help reassure investors that Whitman is about more than just increasing efficiency -- that she has the vision thing down, too. A hand-delivered scoop to Businessweek on The Machine noted Whitman’s crucial role in vastly speeding up the project after she took over as CEO. A more immediate aid for HP investors came in the form of a mea culpa report from one of the top tech hardware analysts on Wall Street, Bill Shope of Goldman Sachs. “Our bear case was wrong,” Shope headlined his June 12 report, lifting a “sell” rating he’d slapped on the stock over a year ago. Since the April, 2013, rating, shares of HP gained 51%, more than double the return on the S&P 500, Shope noted. The change of heart helped HP hit an almost-three-year high of $34.30 in early trading on Thursday. The shares dropped back a bit in midday trading to $33.77, up 2% on the day. HP executives put on quite a show for investors in Las Vegas this week at their annual Discover conference. In addition to unveiling “the Machine,” they also emphasized a strategy to sell more printers, improve margins in the lagging enterprise services unit and expand a software push in the areas of big data and security. So far, Whitman’s turnaround has largely relied on cutting costs, paying down debt and other fairly straightforward strategies for improving the company’s finances. Competitors like IBM (IBM) haven't done as much. But investors have been mixed about how far HP – and its raging stock price – could go without some hot new products, especially given that several of the company’s biggest markets, including PCs and servers, have been shrinking. And some promised breakthroughs, like the Moonshot line of servers, have been more hype than revenue generators so far. Shope, who was one of the most prominent skeptics, now says he sees at least some glimmers of growth opportunities. But he still rates the stock only "neutral" with a 12-month target price of $32. He is not alone among bearish analysts turning more positive, however. Overall, analysts who cover HP are getting more optimistic. The average forecast for next year’s earnings per share (HP’s fiscal year which starts in October 2014) is $3.90, up from $3.76 six months ago and $3.56 a year ago, according to Factset. And the number of analysts rating the stock a “sell” or the equivalent has declined from 8 to one. Sometimes, this kind of growing optimism can signal the beginning of the end of a rally – the capitulation phase when even those who sat on the sidelines join in and buy. Once the pessimists have been won over, so the thinking goes, there’s no one left to buy and push the stock price higher. But studies of analyst recommendations find that growing optimism is dangerous when it's accompanied by other, more negative signs such as a slowing of price momentum or revenue growth. And with the stock continuing to rally and results improving, that's not the case at HP.